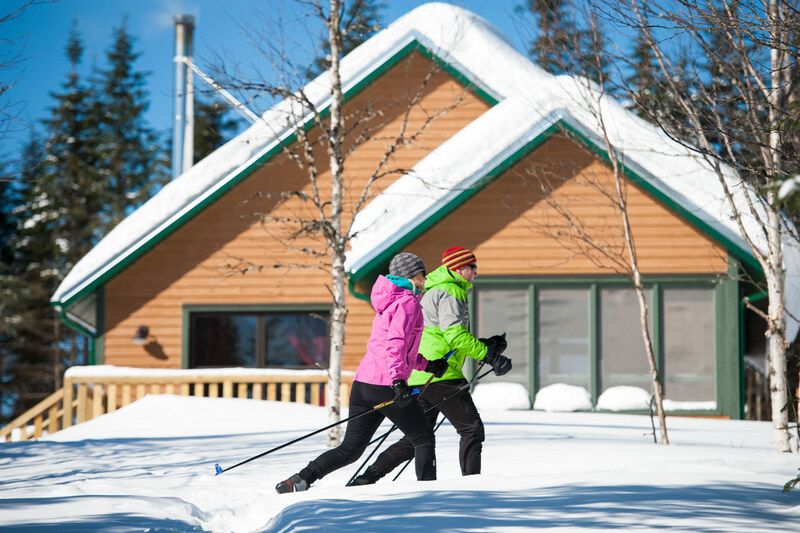 Camp Mercier is renowned as an excellent cross-country skiing and snowshoeing centre. 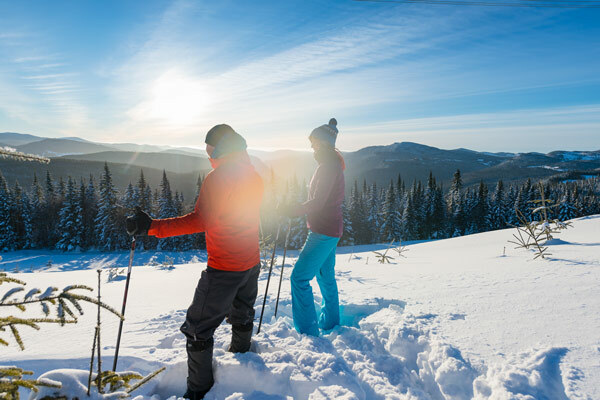 Set in Réserve faunique des Laurentides, less than an hour from the city of Québec, it offers classic and skate skiers and snowshoers a wide variety of trails along with a very long season (even lasts into April), gorgeous scenery and unparalleled views! 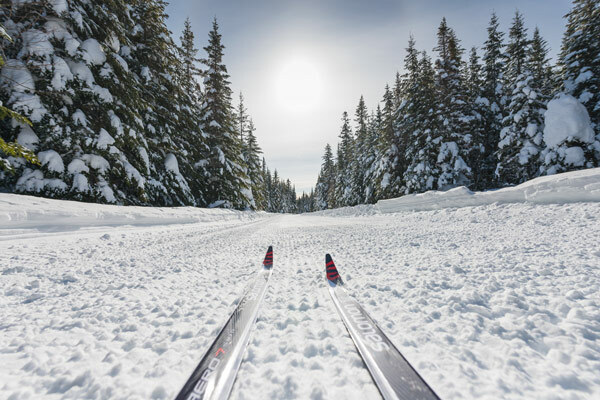 Camp Mercier is a famous cross-country ski centre that has Québec's best snow conditions. 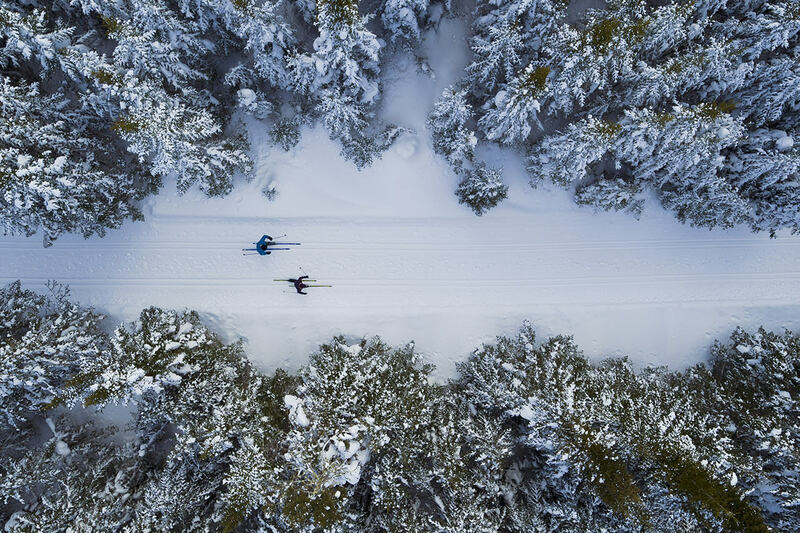 You'll find a snack bar, a rental shop, a waxing room, a first-aid clinic, patrollers, and cutting-edge trail grooming. 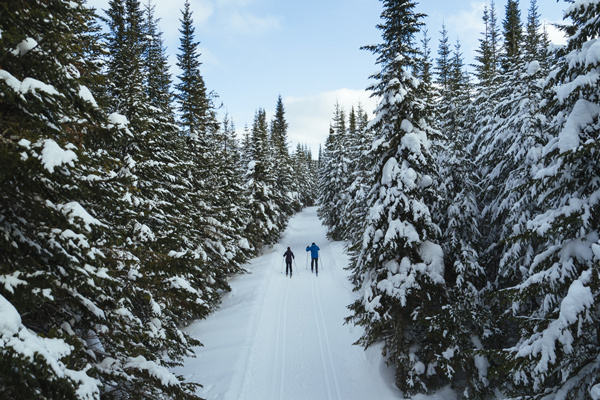 The trail network has 70 linear km of trails (50 km for classic skiing and 20 km for skate-skiing). To help you get started in this discipline, we’ve made several sets of skate ski equipment available at our Camp Mercier rental shop. 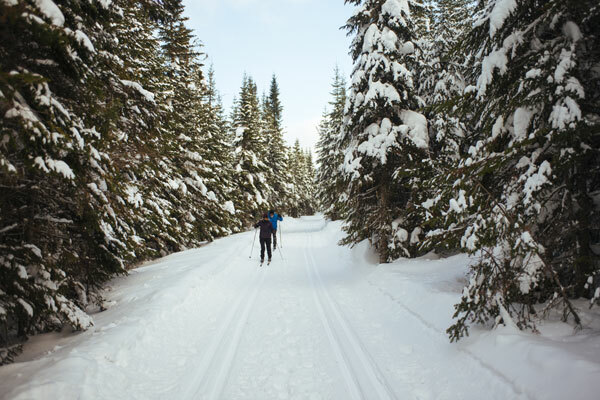 Nearly 20 km of freshly groomed skate skiing trails are at your disposal! Why not give them a try? 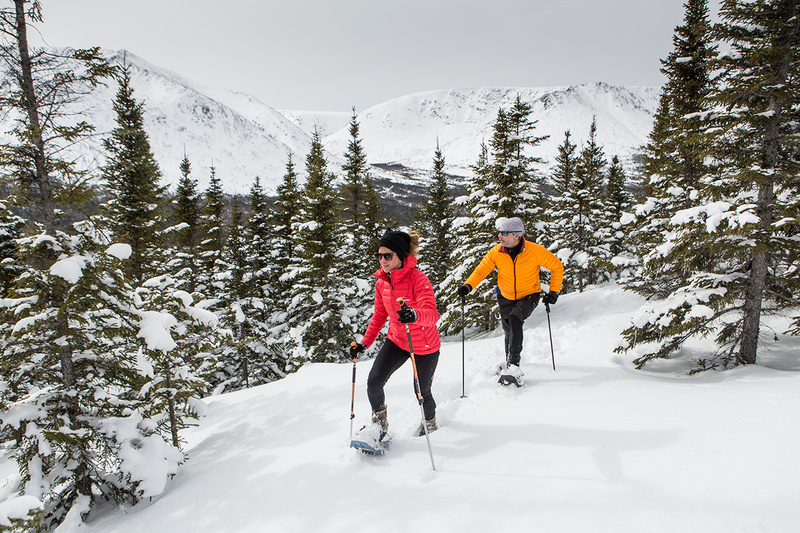 From Camp Mercier, there are 33 linear km of recently blazed snowshoeing trails. They offer striking views, including one at 1,000 metres of altitude. You can also reach the heated rest area at Le Pic and a lean-to, both located at 800 m above sea level. 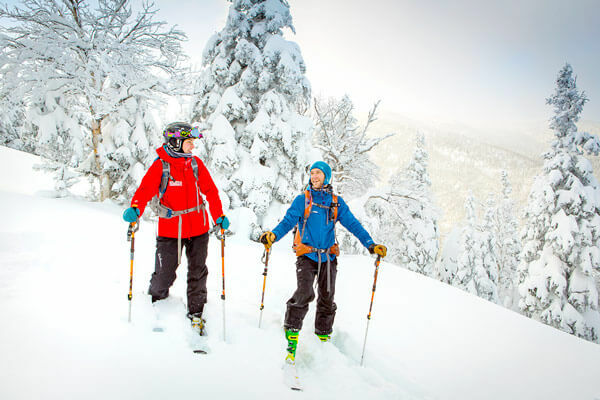 During winter, the five Devlin cabins of Parc national de la Jacques-Cartier provide easy access to the cross-country skiing and snowshoeing trails of Camp Mercier located in Réserve faunique des Laurentides. There is also a fully maintained skating rink and tube slide close to the cabins. Cabin rental includes a day pass for skiing and snowshoeing. 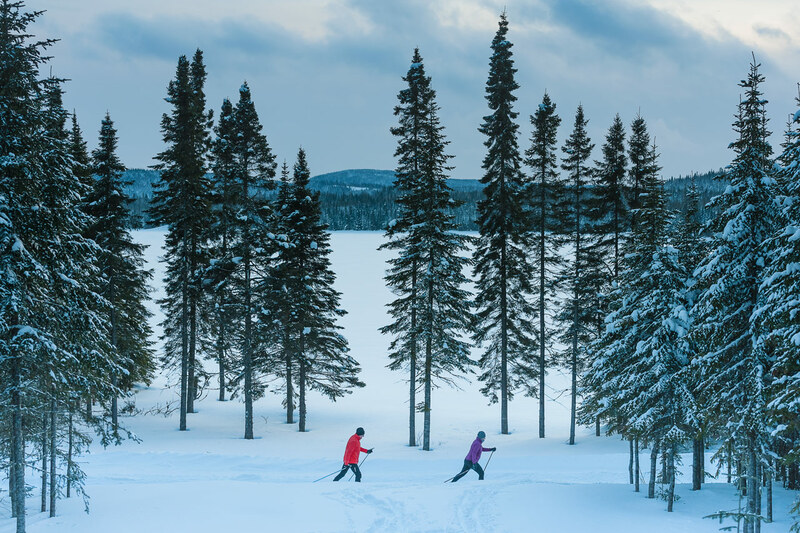 The 14 cabins in the Lac-à-Noël and Pecan sectors of Réserve faunique des Laurentides are connected by a network of cross-country skiing trails. 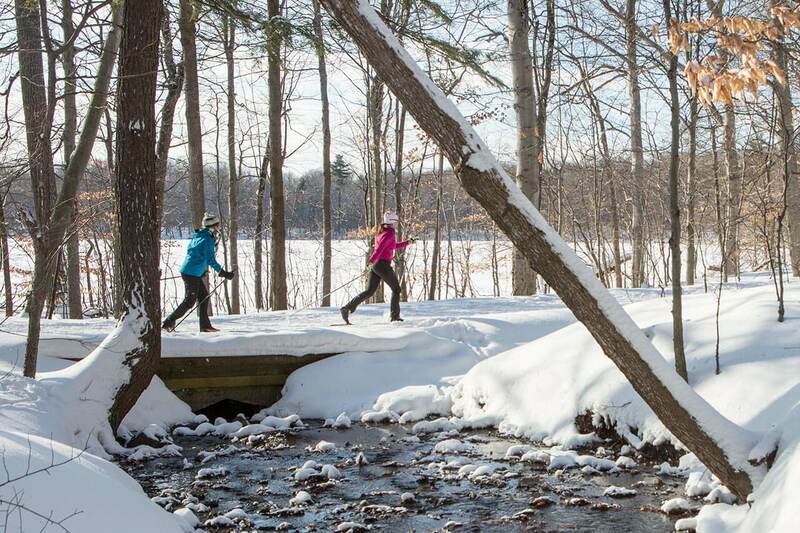 Snowshoeing trails are also accessible from the cabins. An inner tube slide and a fully maintained skating rink with a heated hut are located near the cabins. Cabin rental includes a day pass for skiing and snowshoeing. Rates for winter 2018-2019. Taxes not included. National park entry fees not included. 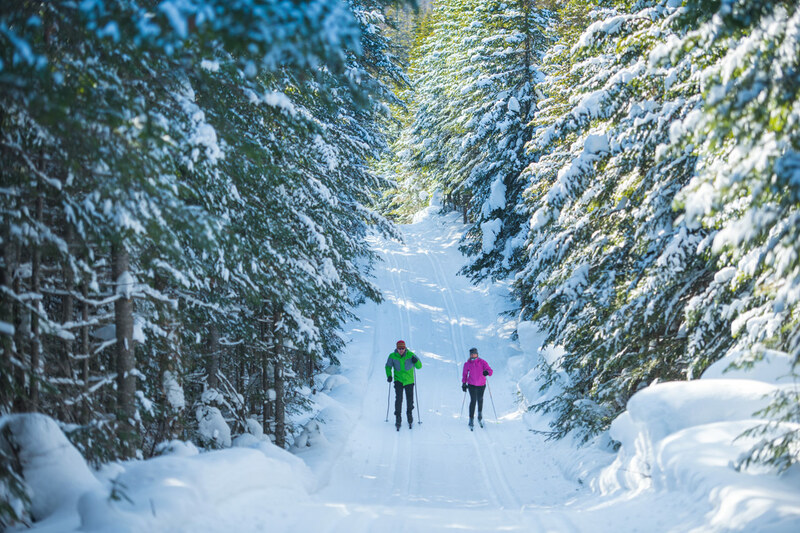 The price includes accommodations, access to the skating rink and sledding hill and a day pass for cross-country skiing or snowshoeing on your day of arrival, throughout your stay and on your day of departure. Winter season: December to April (depending on snow conditions), 8:30 a.m. to 4 p.m. daily. Camp Mercier is located at 54 km north of the junction of Highway 40 and Highway 175 (Quebec), at kilometre 94 of Route 175 in Réserve faunique des Laurentides. For your safety, cell phone communication works on most of the trails. The cabins are powered by electricity and have running water, a bathroom, stove, fridge, cookware, microwave and a woodstove. Bedding and towels are not provided.